Harris Ahmadzai: I can’t bring myself to bet against the Patriots in this spot. Having already played (and beat) Kansas City earlier in the year, I give the edge to Bill Belicheck given he’s seen Patrick Mahomes and the Chiefs offense once before. I’ll take the greatest coach and quarterback of all time over the young MVP and his coach who always seems to make critical blunders in these moments. 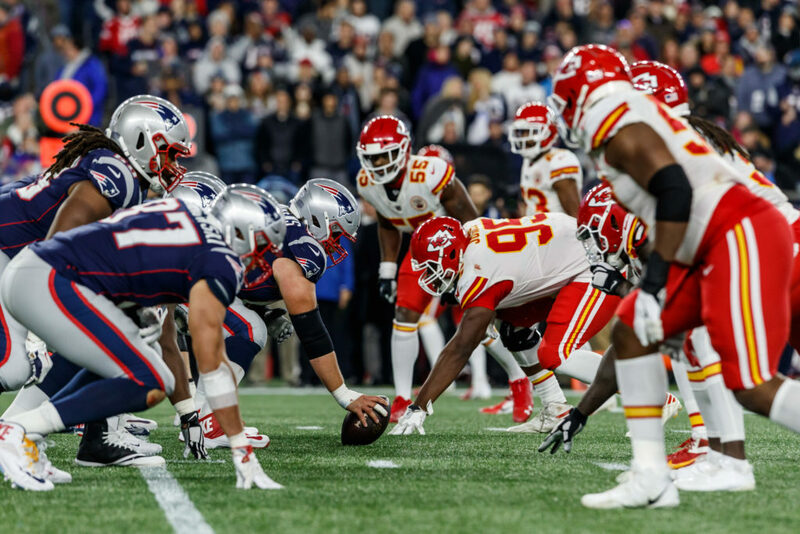 Dylan Fraychineaud: A rematch of one of the best games this season — a 43-40 Patriots victory in Foxboro — the Chiefs and Pats meet again with a Super Bowl berth on the line. Aside from this game being in Kansas City, the main difference this time around is the absence of Kareem Hunt. Hunt shredded New England’s defense the last two times the teams met. It is hard to go against New England in this situation, given its experience and leadership…but I am. Jason Fray: My head is telling me to pick the Patriots. Tom Brady and Bill Belichick are the most prolific player-coach combination in the history of the NFL. New England has both the experience and pedigree needed to win a big game like this. The Chiefs don’t have Kareem Hunt — thus making them a bit one-dimensional. Duly, there’s next to no experience on the roster for a contest of this ilk. However…the Mahomes magic will rage on for yet another week. His ability to be the most dynamic player in all of football will shine in this contest. He’s got the moxie and talent to lead his team to a win over the vaunted Patriots in front of what should be a highly raucous Kansas City crowd. Harris Ahmadzai: Sean Payton and Drew Brees are unbeaten at home in postseason play (6-0). New Orleans’ offense has been exceptional all year long at home, though their recent rough patch has raised some eyebrows. The Rams are clicking at the right time, and should also benefit from playing in an indoor environment. 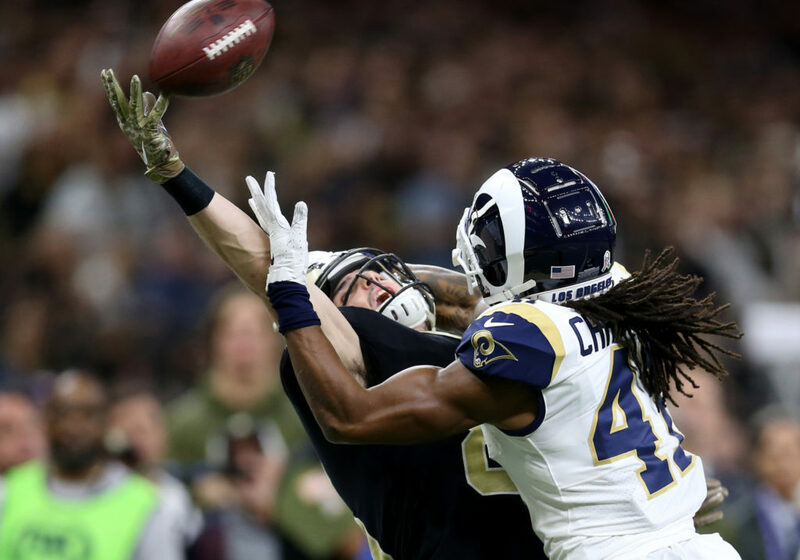 Their balanced offensive attack coupled with a defense that has improved week-to-week will guide the Rams to their first Super Bowl berth since 2002. Dylan Fraychineaud: At the start of the playoffs, I believed New Orleans was the team to beat. To me, the game this weekend is a coin flip. However, my gut is telling me that the Rams are on their way to the Super Bowl. I was more impressed with how they played last week compared to the Saints. C.J. Anderson has proved to be an incredible addition to the squad. I expect LA to lean on Anderson and Todd Gurley for a second week in a row, setting up a rematch with the Chiefs. Jason Fray: This is a tough one to call. New Orleans blasted Los Angeles earlier this season at the Superdome. It essentially led to the Saints winning the NFC — and thus getting home field advantage through the playoffs. When looking at this contest, there are a couple of things in play here. The Saints have looked far from convincing over the last few weeks. You always want to be playing your best football heading into a game of this magnitude. Simply put, New Orleans hasn’t looked all that great. Duly, it appears difficult to beat a team of LA’s caliber twice in the same season. Rest assured that Sean McVay will make adjustments schematically to plan for Drew Brees and the plethora of talented skill players around him. While this game could go either way, the Rams will eek out the close victory — thus ensuring their path to Atlanta.